There’s a good choice of engines plus three different body styles as well, and though it hasn’t sold in vast numbers there is a decent selection on the used market. Unveiled in 2007, the current Laguna was once a stalwart of the large-family car market, and though the current model may not be as competitive as some of its rivals, it offers plenty of space, kit and even a dash of French style to the sector. There’s a good choice of engines plus three different body styles as well, and though it hasn’t sold in vast numbers there is a decent selection on the used market. Like its predecessors the third generation Laguna was offered as both hatchback and Tourer (estate) models, but in 2008 a svelte Coupé model also became available. The sleek four-seater never proved particularly popular, despite the attention-grabbing looks, so it’s not plentiful on the used market. Nevertheless, there are plenty of hatch and estate models to choose from, and thanks to a wide range of engines buyers should find a car that suits them. Those after a petrol-powered Laguna could choose from a range that started with a 1.6-litre four-cylinder unit with 110hp to the turbocharged 2.0-litre petrol with 180hp in the Coupé. Far more sensible is the range of diesels though, which were available in either 1.5- or 2.0-litre capacities, with power outputs ranging from 110- to 150hp in the hatchback and Tourer models. Of course, those after a Coupé could also choose from the 180hp 2.0-litre or even the 235hp 3.0-litre dCi units. Both automatic and manual gearboxes were offered, both with six gears, though the latter is much more common on the used market. There are some basic models out there, so it's best to avoid the lowly Expression models and try to find a Dynamique or even GT line TomTom, which comes with satnav as standard. Obviously the Tourer is the most practical, with its 501-litre boot, but the hatchback isn’t far behind with 462 litres when the seats are in place. Opt for the 150hp 2.0-litre dCi engine and you’ll have a perfect balance between economy and performance. Trim wise we’d opt for the Dynamique level, which includes plenty of standard kit including climate control, rear parking sensors, keycard entry, alloy wheels and cruise control. 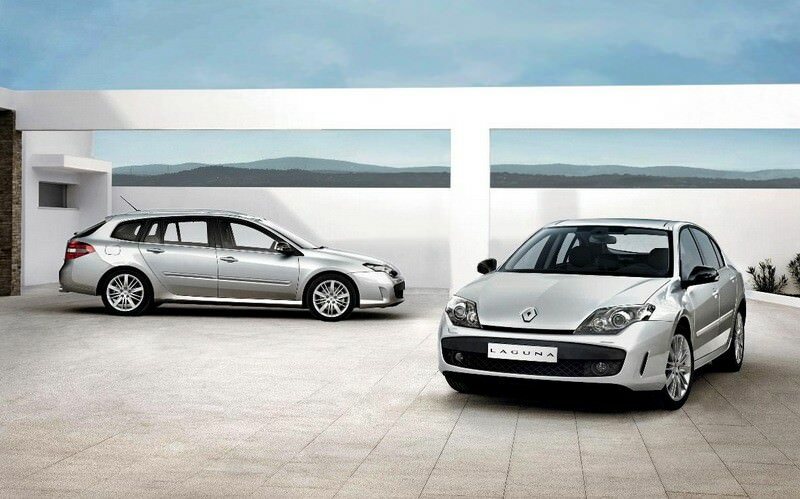 There’s plenty to like about the Renault Laguna, including its very French sense of style and spacious cabin. The fact it’s available as a svelte Coupé only helps its appeal, but before you buy do a thorough check on the car’s servicing and history. In 2011 the Laguna finished 93rd out of 108 models in the JD Power survey, whereas the Honda Accord and Skoda Octavia all finished in the top twenty.